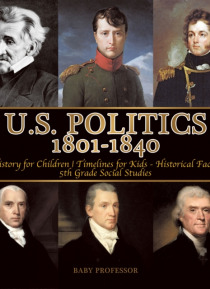 Let's take a look at what happened in the US politics from 1801 to 1840. Who were the key players during this time? What events transpired that left marks in history books? You may think that history has no relation to the past, but that's incorrect. History is actually the force that dictates the present and the future. Add this book to your learning collection today.